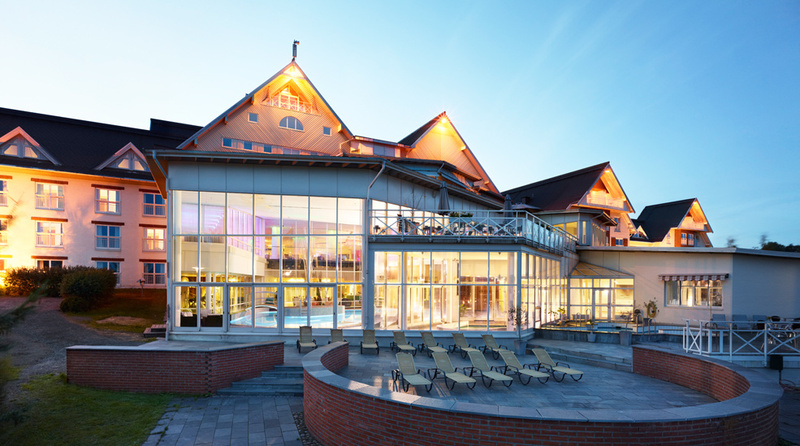 The Selma Spa+ in Sunne is a haven of relaxation! Enjoy spa treatments, a good workout, and delicious food and drink. This is a cash-free hotel. There's so much to do at award-winning Selma Spa in Sunne, whether you'd prefer just to have a good rest or enjoy a few active days. Lactic Acid & Champagne is what we usually call this combination. Selma Spa is located 1 km from Sunne centre, and close by the hotel there are many interesting excursions, cultural sights and shopping. And of course, if all you want to do is relax in a comfy bathrobe or enjoy our spa treatments, that's fine too. In the heart of Selma Spa is our spa area with its outdoor and indoor pools, dry sauna, steam sauna and herbal sauna. Our list of treatments includes many different treatments for the whole body. We have a packed fitness schedule with everything from yoga and strength training to spinning. Plus there are hiking trails, great jogging loops and cross-country tracks just outside our door. The cycling is fantastic, regardless whether you prefer road cycling or mountain biking. The same can be said of the golf course. If you prefer downhill skiing then Ski Sunne is just 10 km from the hotel. Here at Selma Spa the words healthy and tasty are not in conflict with each other. Our food is prepared to suit those of you who lead an active life, and who like to enjoy the good things in life. In our restaurant we always have meat, fish and vegetarian dishes on the menu. At Selma Spa we organise conferences and meetings using our concept Lactic Acid & Champagne, which we believe is the best combination for a successful meeting. The rooms are important in a spa hotel. This is where you can retire after a full day of bathing, treatments, exercise and good food. We are very proud of our spacious and bright rooms. Find out more about the different room types here. Everyone is welcome to come visit us, but our offer is not aimed at children. However we have family periods at Selma Spa+ during certain weeks and holidays, with lots of activities adapted to suit our youngest guests. The Selma Spa+ is cash-free, which ensures added security for our guests and visitors. More information about this can be found under FAQs.